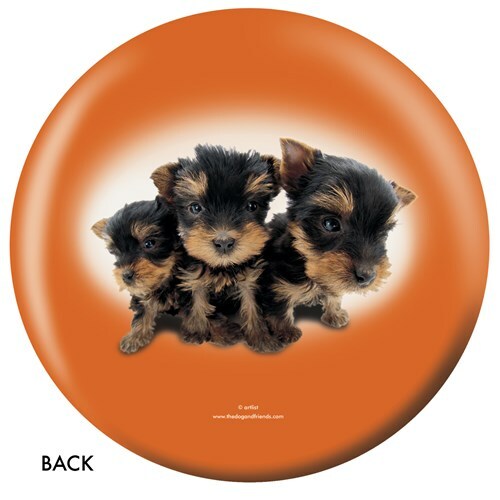 Don't miss out on these cute puppies featured on an orange background. 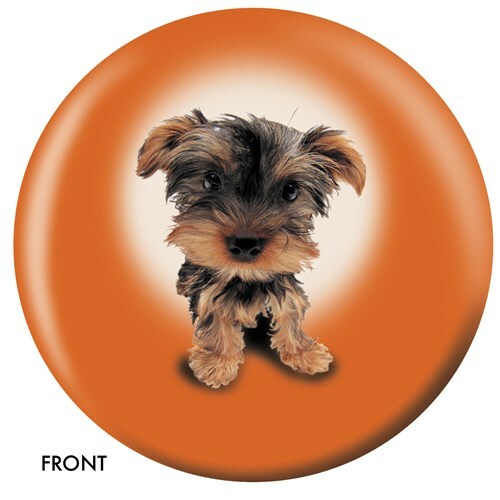 If you like Yorkshire Terriers, then this is the ball for you! So, show off your bowling talent in style with this ball today! If you visit ontheballbowling.com, you can have your own customized ball. Due to the time it takes to produce the OnTheBallBowling Yorkshire Terrier ball it will ship in 1-2 weeks. We cannot ship this ball outside the United States.